For an archer who wants to try bow hunting birds the American Woodcock makes a great aerial archery target. When the birds are migrating through my area here in Wisconsin in late September and October the woodcock offers me plenty of shot opportunities. Are they an easy target? No, but with practice, the right equipment and a good pointing dog we have had success. If you want to woodcock as your next aerial archery target go to Snaro.net and order some Snaros and flu flu arrows. 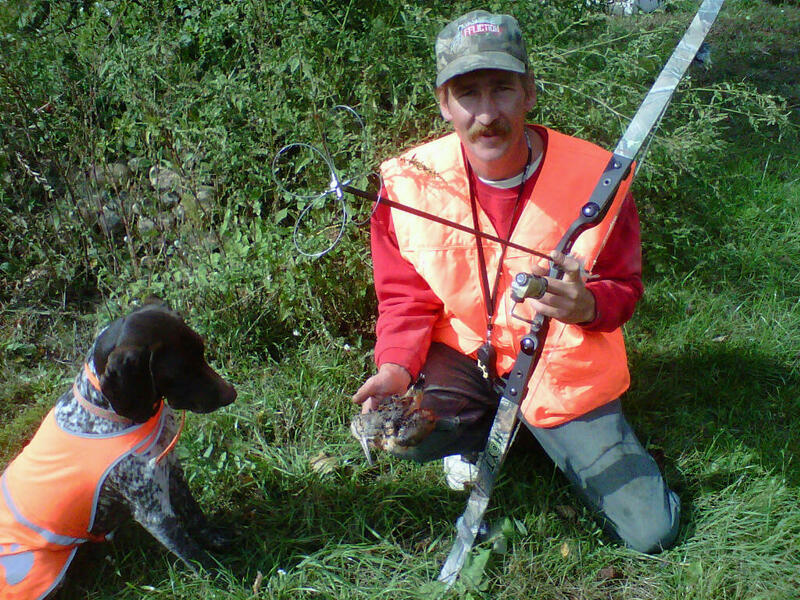 The six inch Snaro is a great choice for bow hunting birds, especially woodcock. While the woodcock is only about the size of a robin it’s wingspan is usually 15-18 inches which makes a great target for a six inch Snaro. Connect on a body shot and you have a lethal hit. Hit one of the wings and the Snaro will break it and drop the bird for you to dispatch and drop into the game bag. To practice for woodcock use aerial archery targets using your flu flus and Snaros. I use tennis balls launched out of The Hirteybirdie ball launcher. The launcher can be adjusted to launch balls straight up or out at a 45 degree angle simulating the flight of a woodcock flushing from the ground in front of the dog. Try woodcock and aerial archery targets and you will be surprised at how much fun aerial archery can be.